31 January 1944: Keel laid by the Brown Shipbuilding Co., Houston, Tex. 38k Marion William Dufilho was born 22 May 1916 in Opelousas, La. 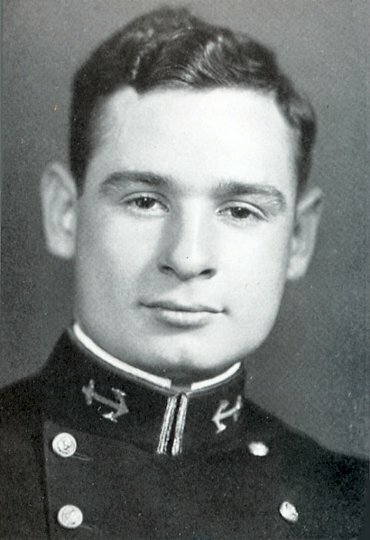 and graduated from the Naval Academy 02 June 1938. 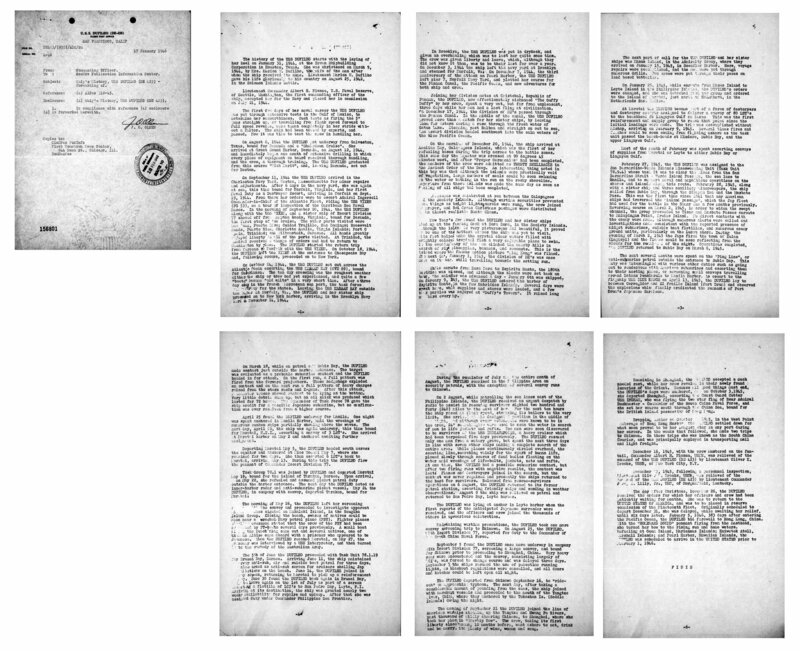 On 24 August 1942, while serving as a section leader in Fighting Squadron 5 in Saratoga (CV 3), Lieutenant Dufilho was killed in action in the Battle of the Eastern Solomons. He was posthumously awarded both the Navy Cross and the Distinguished Flying Cross for his heroism and achievement in this battle, which turned back a major effort of the Japanese to reinforce Guadalcanal and Tulagi. Other medals awarded posthumously were the Purple Heart; American Defense Service Medal; and the World War II Victory Medal. 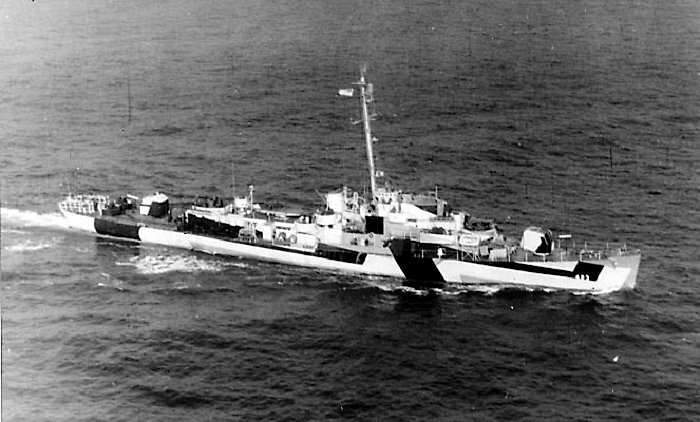 USS Dufilho (DE 423) (1944-1946) was the first ship to be named in his honor. 40k 24 July 1944: Houston, Tex. - Port bow view of USS Dufilho (DE 423) near Houston three days after being commissioned. The ship carries Measure 32/3d camouflage scheme. 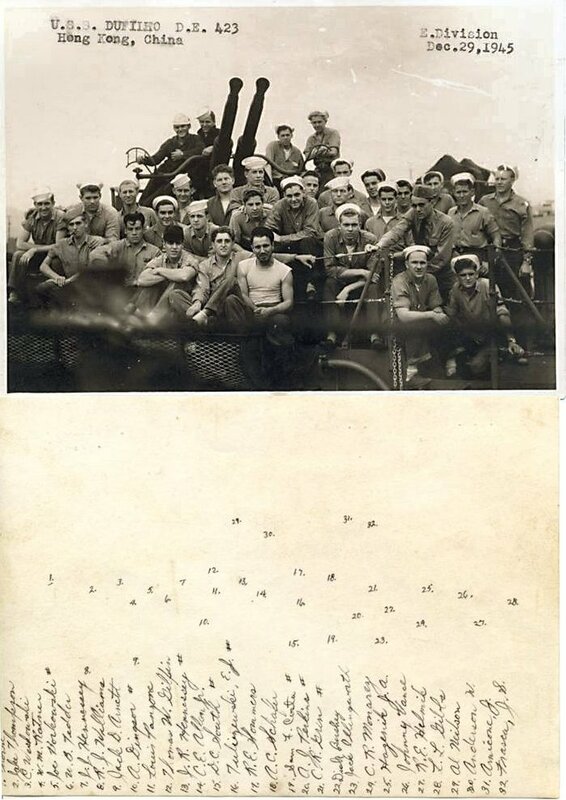 69k 02 November 1944: Casablanca, French Morocco - As seen from the USS Kasaan Bay (CVE 69), the USS Dufilho (DE 423), wearing 32/3d camouflage scheme. 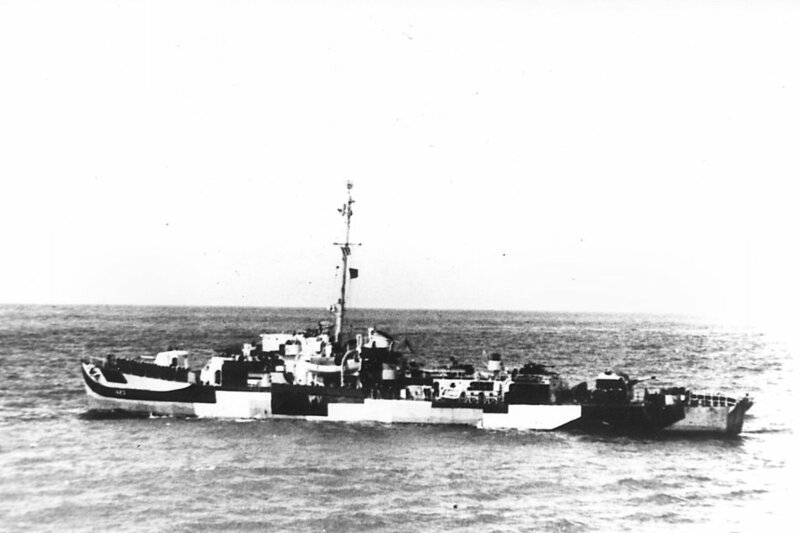 View the USS Dufilho (DE 423) DANFS history entry located on the Naval History and Heritage Command web site. 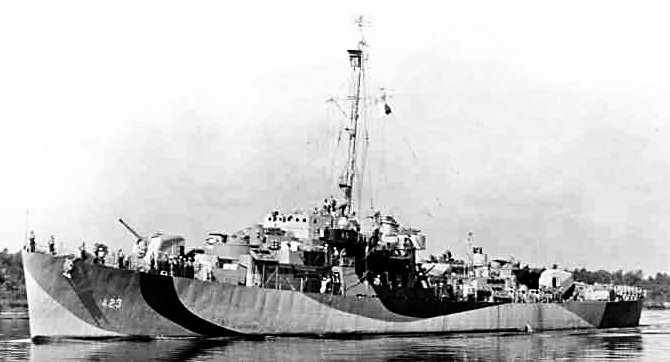 View the official War History of USS Dufilho as submitted by the ship at war's end.